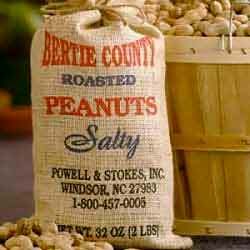 We’re asked a lot about what makes our peanuts so darn good. Aside from our years in the business (we’ve been at this since 1915), and our hours of nurturing peanut plants in the field, we need to give a lot of credit to Mother Nature. Bertie County is located in Windsor, NC (up in Northeast North Carolina – close to the Virginia border) and we’re surrounded by beautiful waterways. These waterways create a perfect rich fertile, sandy soil just right for growing some of the best peanuts in the country – that’s why we like to say that “our secret’s in the soil”. 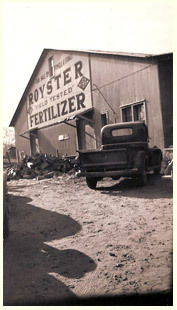 During these ninety years in business we’ve sure seen a lot of changes. 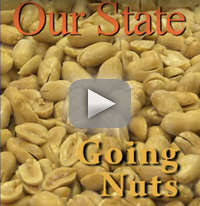 What started out as a farm supply business, Powell & Stokes, has now gone a bit “nuts”. And, we think that those who started it all, Luther Powell “Mr. Luther” and Jonathan Stokes “Uncle John”, would be proud. 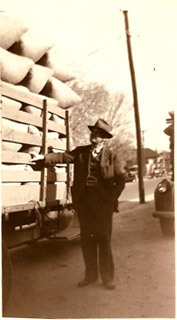 Who would have thought when Jack Powell, Sr., (or “Papa Jack” as everyone called him), started cooking his now famous blister peanuts in his popcorn popper, that we’d start a peanut company and be shipping our peanuts (and all of the delectable peanutty concoctions we’ve since created) around the nation? Now in our fourth generation, we still love it when our farmer friends and neighbors come in to buy their supplies, sit, visit, and talk weather and crops while munching our peanuts. We believe in peanuts and are proud of our products. We hope you enjoy them as much as we do! That Powell & Stokes Warehouse was built in 1935 and is still in use on King Street in Windsor. Powell & Stokes moved its operations outide of town in 1973 and is presently located at 217 US 13 Hwy North. We can be reached toll free at 800-457-0005 or locally at 794-2138. You may email us at info@pnuts.net. Our retail store here at the warehouse is open Monday - Friday from 7:30 - 5:00. Call regarding Saturday hours. For media coverage of our products click here.